Midwest Facial Plastic Surgery offers the most innovative and technologically advanced surgical procedures and treatments by some of the most skilled surgeons in the entire Midwest. 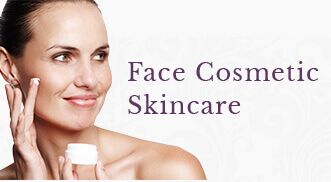 Our goal is to help you rediscover your natural beauty so you can look and feel your best. After a consultation with one of our double board-certified surgeons to review your concerns, your personalized treatment plan may include surgical procedures. Smooth deep wrinkles and acne scarring, significantly improve sagging skin, and enhance skin’s clarity and overall tone with Ablative Laser Resurfacing. Work with one of the country’s leading ENT / Facial Plastic Surgeons to effectively diagnose and treat Bell’s Palsy and restore facial balance. Lift droopy brows and awaken a refreshed, youthful appearance with a Forehead Lift. Repair and reshape earlobes that have been stretched or torn due to heavy earrings, spacers, gauges, or trauma with Ear Lobe Surgery. Remove heavy, excess eyelid skin or bulging under eye bags and look refreshed, youthful, and awake with Upper and/or Lower Lid Blepharoplasty. Restore a more lifted and youthful face and take 10 years off your perceived age with a Surgical Facelift or Midface Lift. Enhance the underlying structure of facial features such as your chin, cheeks and jawline and restore balance and proportion with Facial Implants. Partner with the area experts in Facial Paralysis to both diagnosis and treat your condition. Our Eagan and Woodbury lip injections give our St. Paul-area patients natural looking full lips. Improve the appearance of a Mohs surgery scar with multiple treatment options. Safely remove unwanted moles while respecting the appearance of the remaining skin with Cosmetic Mole Removal. Correct a “double chin,” tighten a loose “turkey neck,” and embrace a more youthful profile with a Neck Lift. Correct or adjust the placement of outwardly extended, protruding, or deformed ears in both children and adults with Otoplasty or Ear Reconstruction/Reshaping. Reduce the size of and improve the appearance of a bulbous nose due to Rosacea with Rhinophyma Correction. Improve the appearance of acne scarring, chickenpox scars, ice pick scars, and raised scars with multiple treatment options. Improve your breathing and enhance your quality of life with Septoplasty, Deviated Septum Surgery.